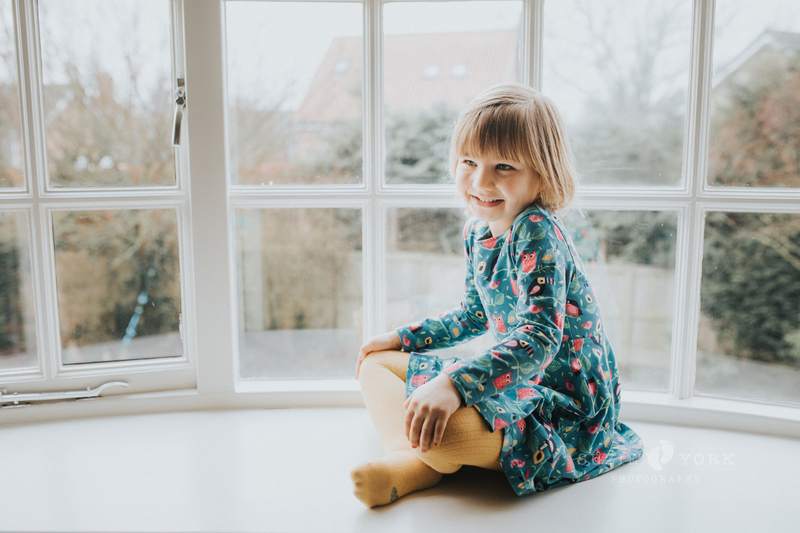 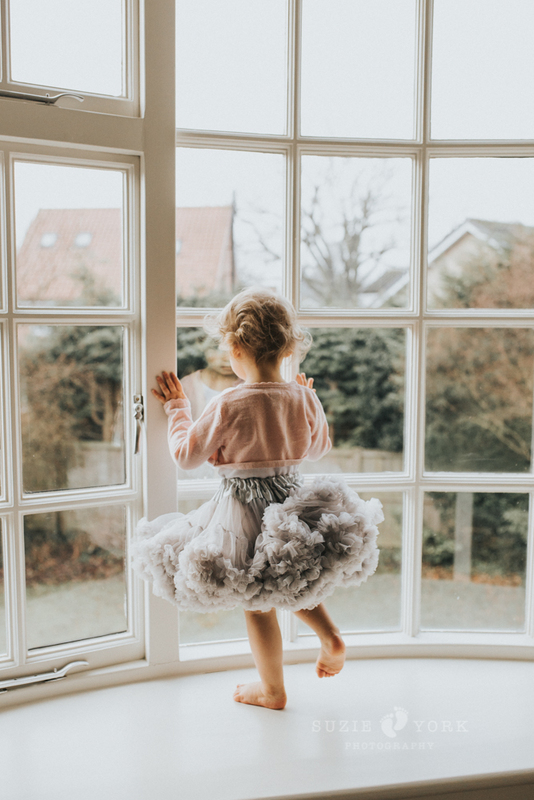 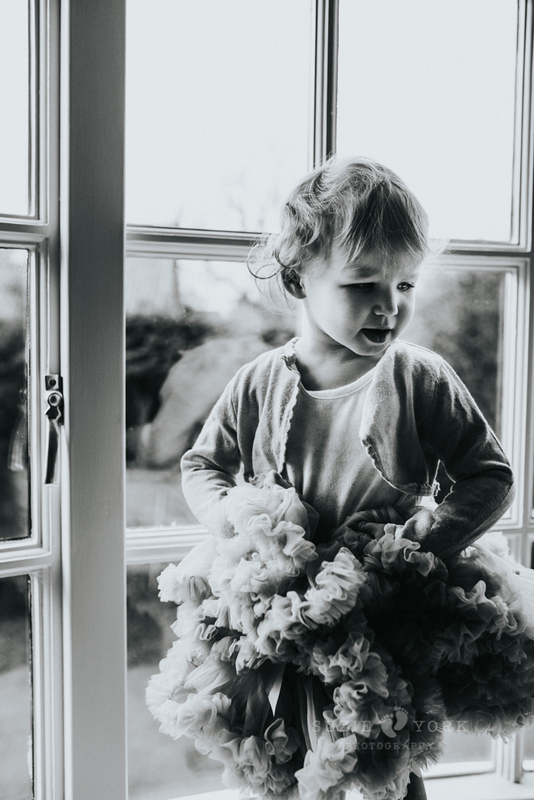 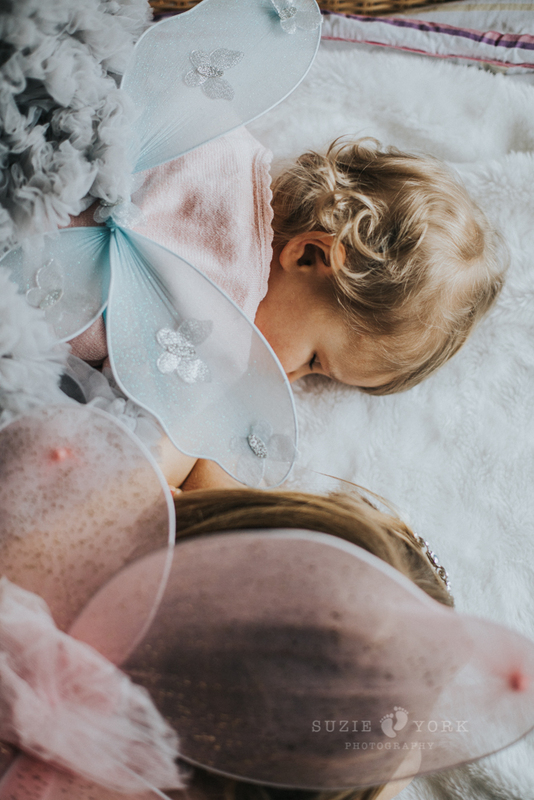 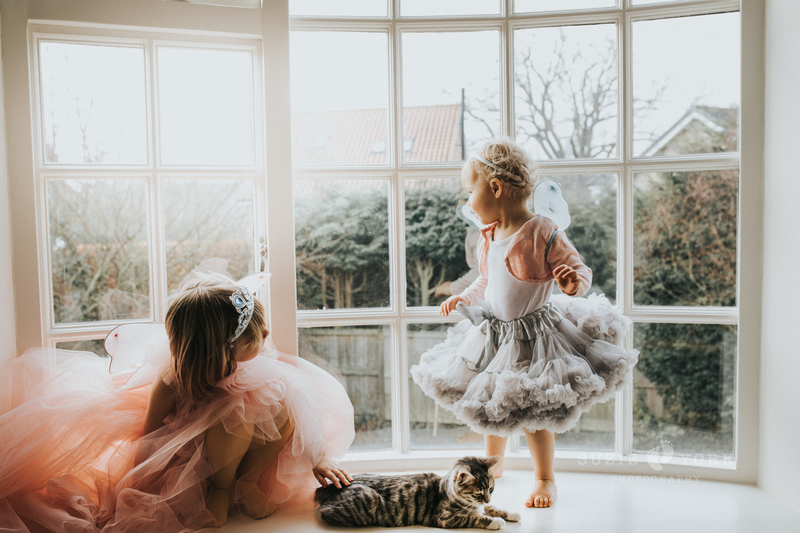 My at home photoshoots really can capture the magic of childhood, it is relaxed, comfortable for your children as they get to play in their own environment, and tells the story of your lives at home. 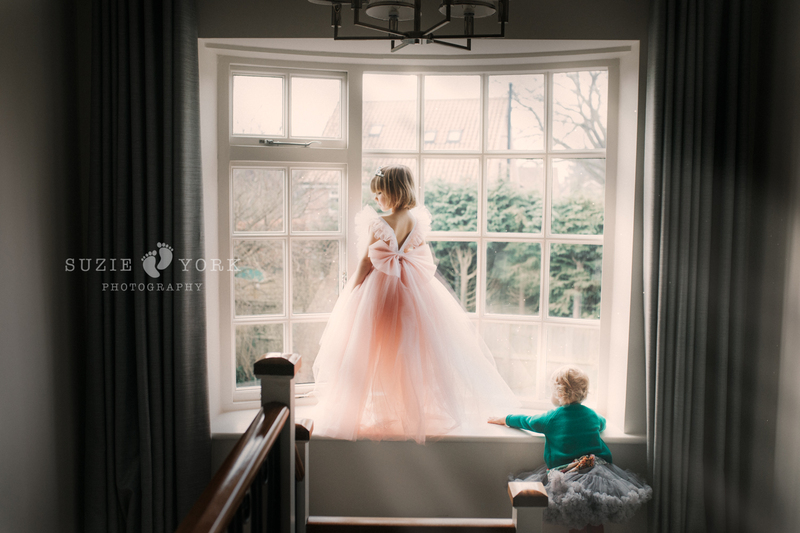 I’m basically the fly on the wall to capture those memories for you. 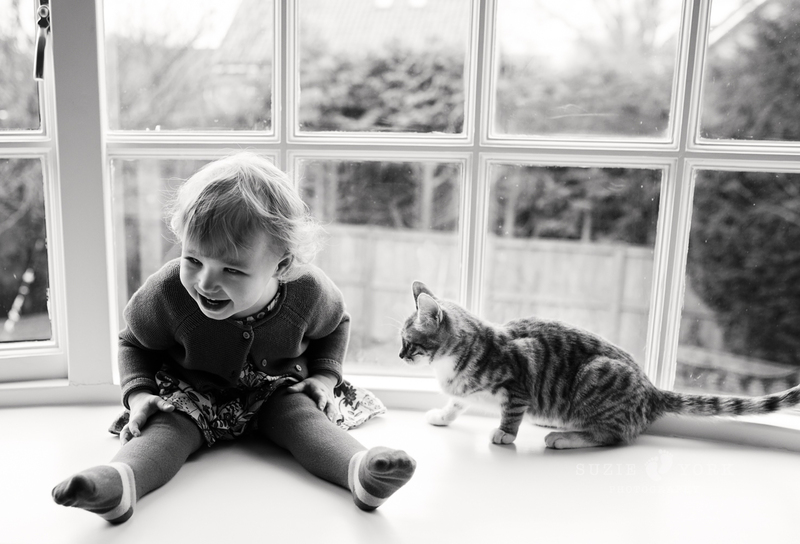 Abigail and Ruby were an absolute joy to photograph, from the way Abigail dotes on her little sister, to their interaction and play when their kitten join in the fun. 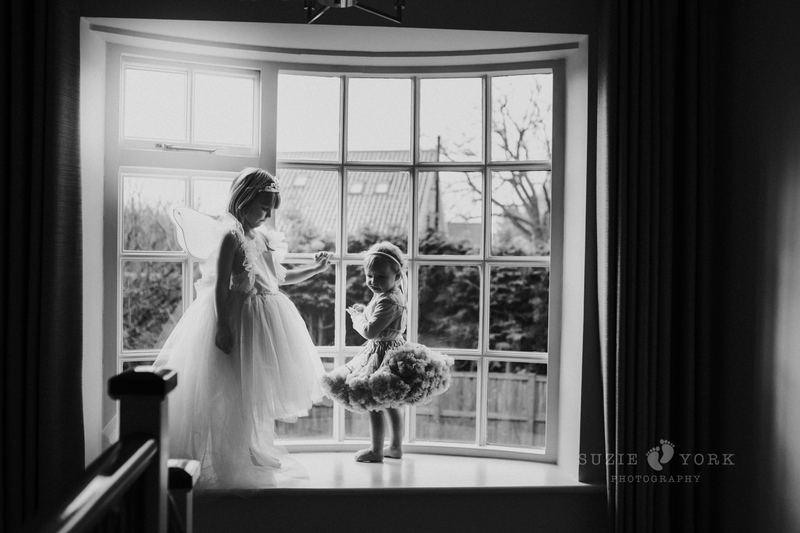 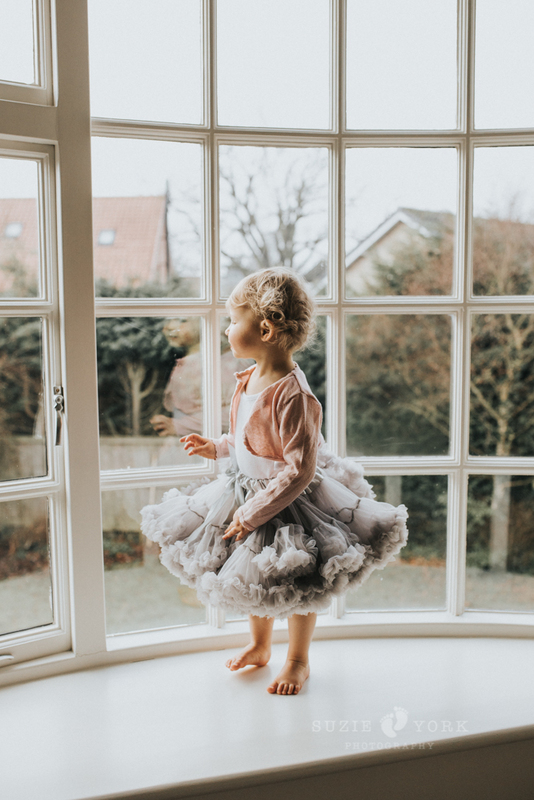 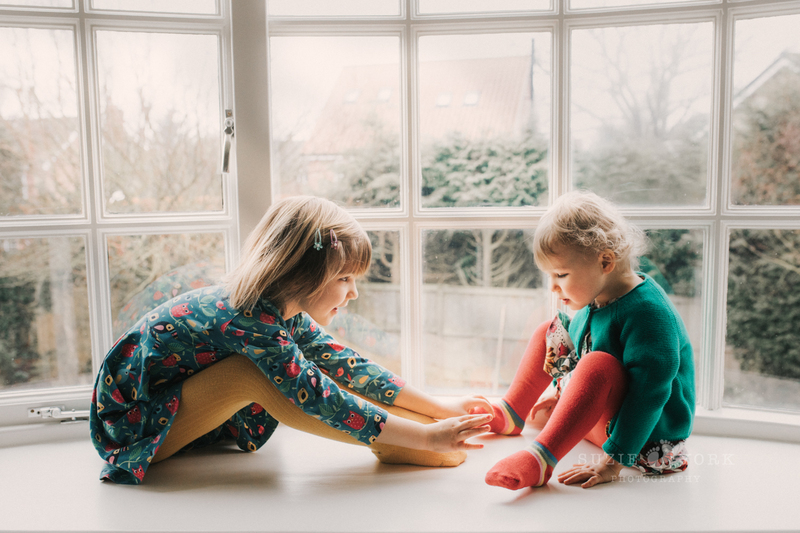 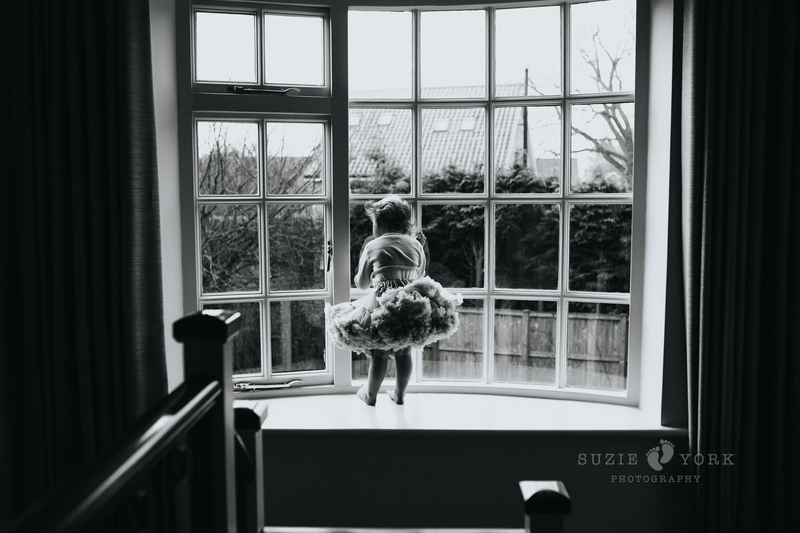 We started the shoot in the lounge where they played (jumped -sorry mum and dad) on the sofas, I took a few posed shots of the girls before we made our way upstairs to their stunning landing window, which became the backdrop for most of the shoot. 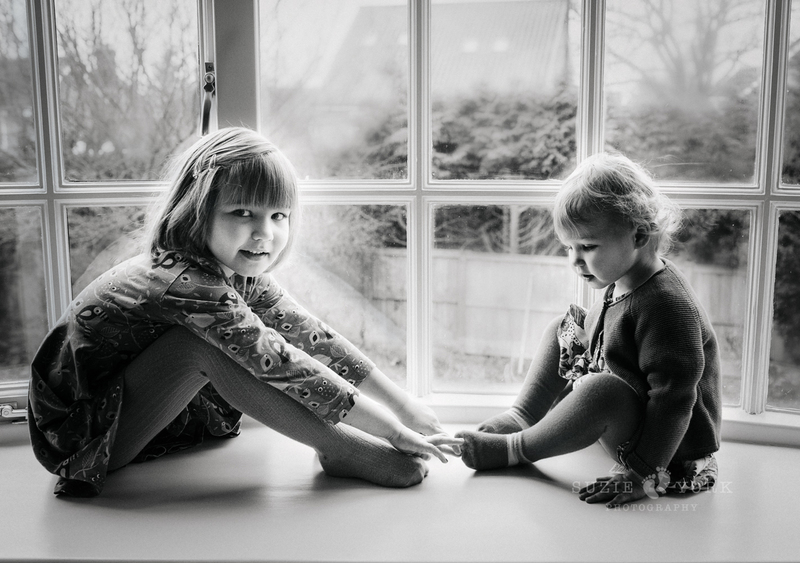 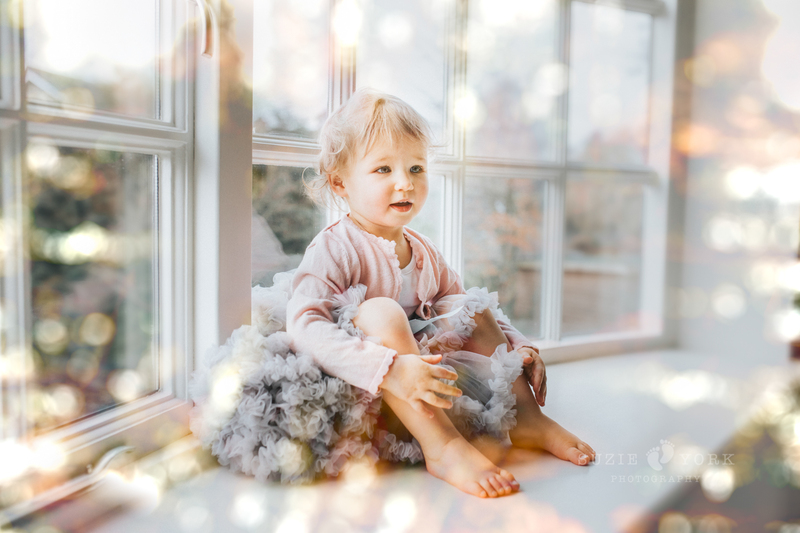 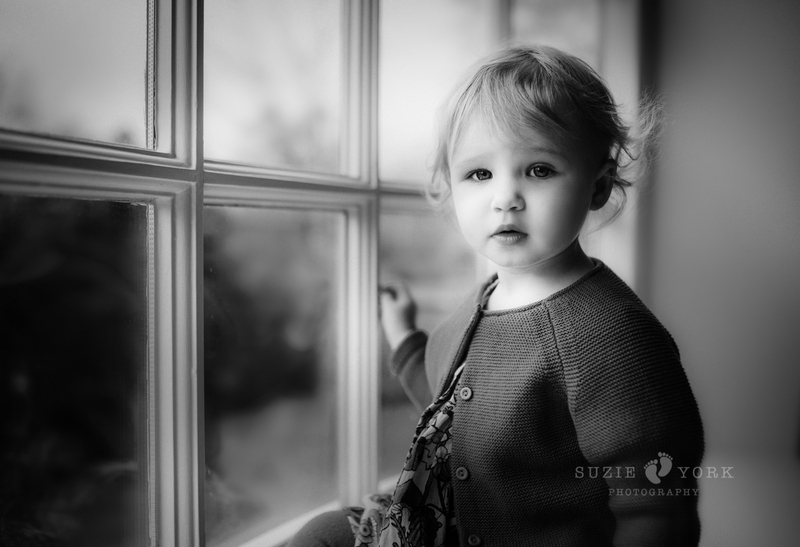 Window light is absolutely beautiful and can create the most magical, dreamy effect to your photographs. 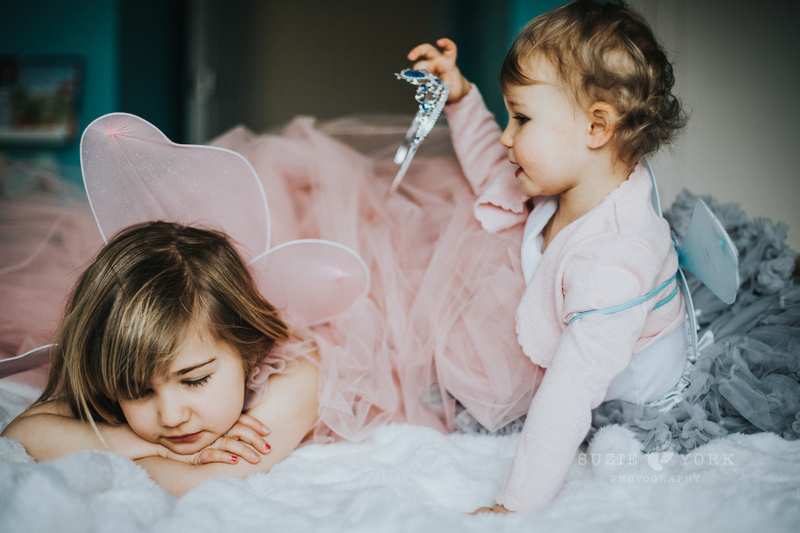 The sisters chatted while I snapped away and then I got my dressing up box out, so they could become princesses for the day! 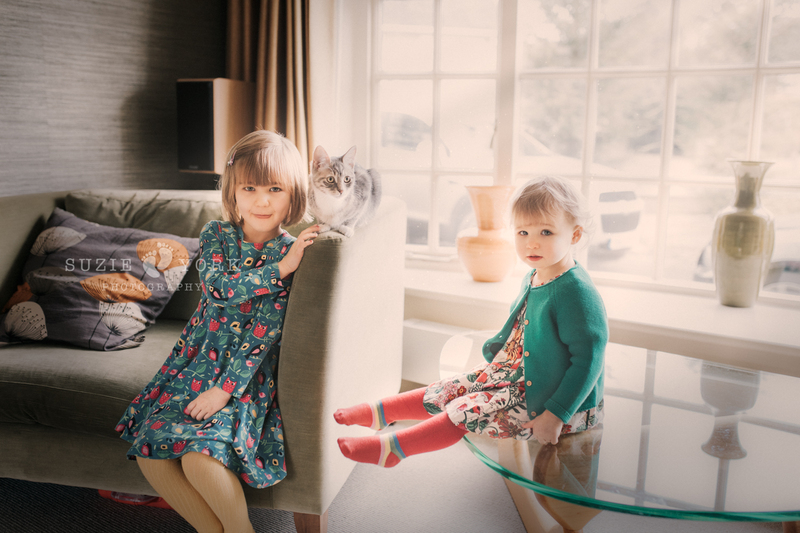 This was fun for the girls, but clothing also plays a massive role in how a photograph comes to life. 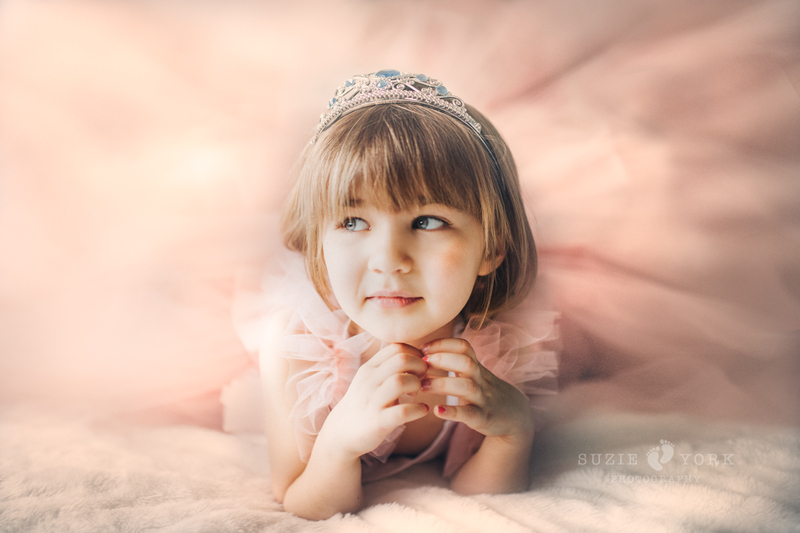 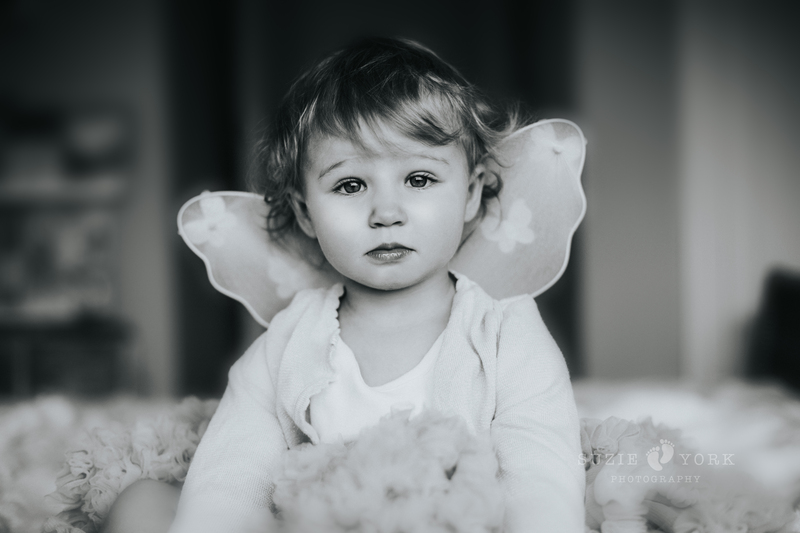 If you’re interested in a fine art portrait of your child, please do message me and I can help with styling for the photoshoot. 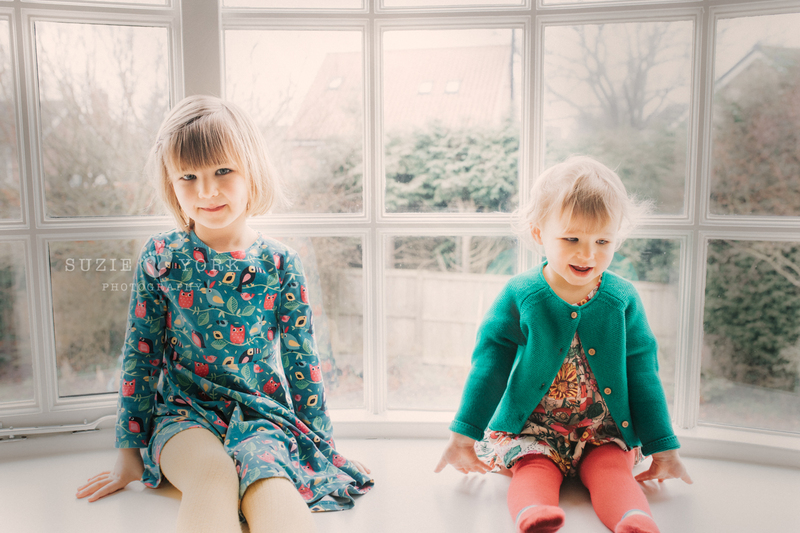 We then played jumping on the bed for some final shots in the girls room, where they both crashed out… eventually! 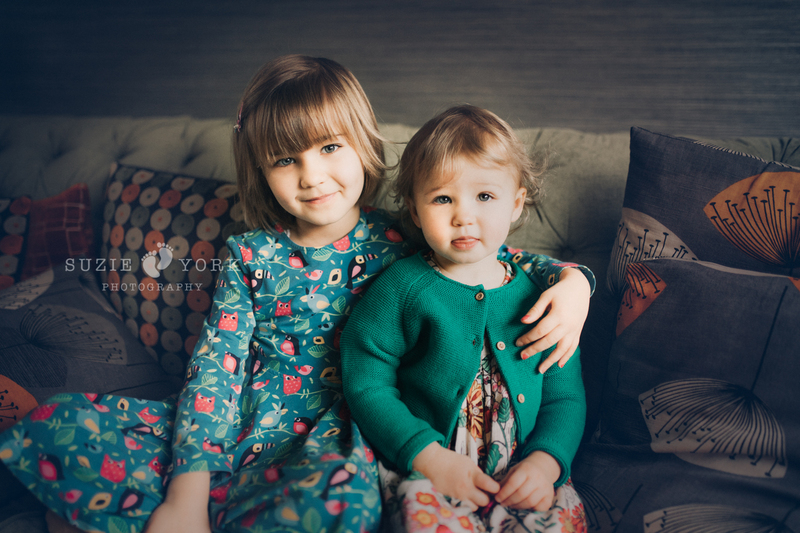 Hope you enjoy a little snapshot of the morning below.